If your association has recently been awarded Provisional Accreditation by ACCME, then congratulations! Your award was based on your showing evidence of compliance with Accreditation Criteria 1–3 and 7–12, and that’s a significant achievement. 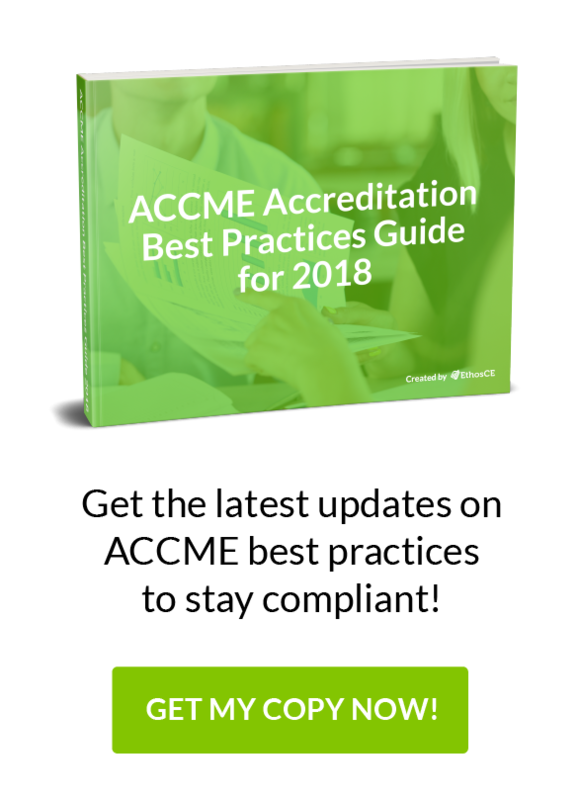 This waiting period is an opportunity to take another thorough look at your organization’s ability to meet ACCME’s standards for full accreditation and evaluate the resources that you’ll need to sustain that compliance over time. The two years that your provisional accreditation status will last may seem like a sufficient amount of time to prepare for ACCME’s rigorous review process for full accreditation, but you’ll need to manage your time wisely. The following is a brief checklist of actions to take to strengthen your association’s application for full accreditation. Review your mission statement and look for gaps between your CME program’s principles and how they are put into practice. ACCME will examine how well your goals are reflected in your CME activity development process and your efforts to correct any failures to meet your benchmarks. Be thorough in your analysis of any potential financial conflicts of interest among instructors, staff, or sponsors. ACCME has strict regulations prohibiting a commercial entity influencing CME programming for commercial gain. You’ll also need to give evidence that you have a solid process to determine and resolve conflicts of interests within your association’s CME administration. Review your program content for its relevance to professional competency gaps among your learners. ACCME will need proof of a demonstrable positive impact on your members’ knowledge retention and professional practice. Develop an agile system to collect user data and record learner outcomes that is HIPAA compliant, and be prepared to provide details on your method of assuring data privacy compliance. This data can be used to strengthen your application in addition to the documents ACCME will request. During your accreditation review, you may be asked for comprehensive documentation of your program’s standards compliance for up to 15 activities. Analyze activities that are under-performing in terms of learner knowledge retention, projected patient outcomes, and learner satisfaction. Implement an action plan to remedy your program’s deficiencies well in advance of the end of your probationary status. Make sure that your estimates of future gains in positive learner outcomes are backed up by statistical evidence—steer clear of “guesstimates” based on small samplings of learner data. A competitive application requires a deep understanding not only of ACCME’s review process and compliance standards, but also how your organization can best present your CME’s mission as realistic and broadly beneficial. For more than 16 years, Ethos CE has helped medical associations of every size to attain their accreditation goals. Our service manages your application, LMS, and compliance maintenance, allowing you to review critical data from a single dashboard. You can click here now to request a time to speak 1-on-1 with our CME technology experts to explore new ways you can simplify your ACCME accreditation process!